This gorgeous bride and and I go way back. Chelsea and I ran cross-country together at our high school in Vermont, and she was even our prom queen! Chelsea is one of those people you can’t help but love- she’s thoughtful, funny and sweet. I was thrilled when she strolled back into my life this spring when she and her fiancee moved to Oakland. It was such a pleasure reconnecting with Chelsea and meeting her wonderful partner Nick. The two of them couldn’t be any cuter. Enjoy their love story! Share a little bit about your love story with us. We met about five years ago when we were both working at an international development non-profit in Washington, DC. After a year and many, many group happy hours, Nick finally asked Chelsea on their first date and the rest is history. After a year of long-distance dating between Chicago and Uganda, we were so excited to reunite back together in the US and adopt our fur baby, Meli. Right before our move to Oakland a year ago, we spent two weeks in Hawaii and got engaged over a cocktail on Waikiki Beach at sunset. You just got married. What is your next big adventure? Lots of camping and travel. 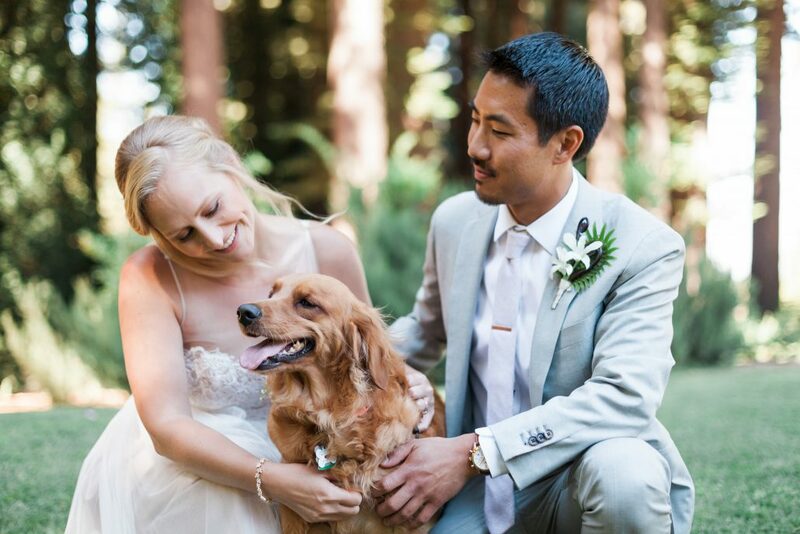 We love to spend time outdoors and are looking forward to exploring the Bay Area and beyond with our sidekick pup. We’re also starting to think about a trip to Asia early next year – we really enjoy getting outside of our comfort zone, visiting new places, and eating new foods. We believe love is best seen in the everyday things. What are your favorite daily or weekly rituals together? Cooking dinner together with a glass of wine and our Summer Breeze Pandora station. 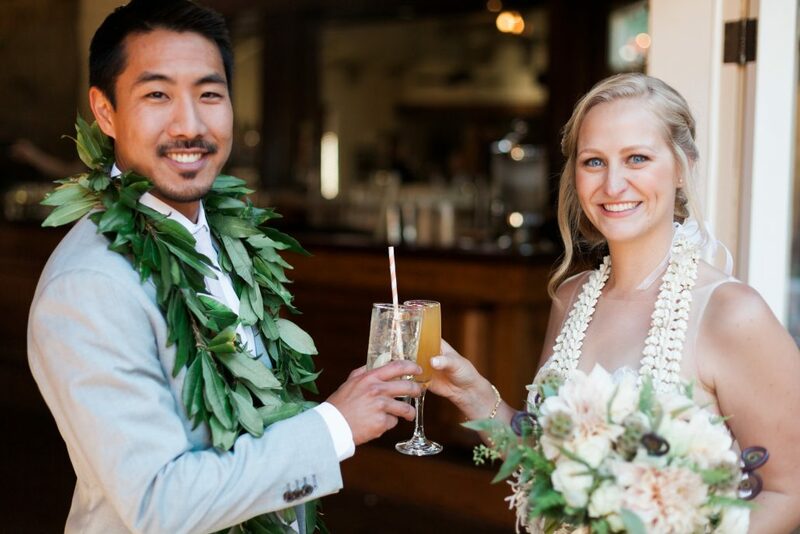 Nick hails from Hawaii and Chelsea grew up in New England – we both love seafood. We really like cooking and creating new recipes together, and eating of course! What advice would you give to couples just starting to plan their wedding? Have fun with it! The best part of the whole process was spending an entire weekend with our closest family and friends – and that’s all that mattered in the end. Don’t worry too much about trying to make everything perfect. 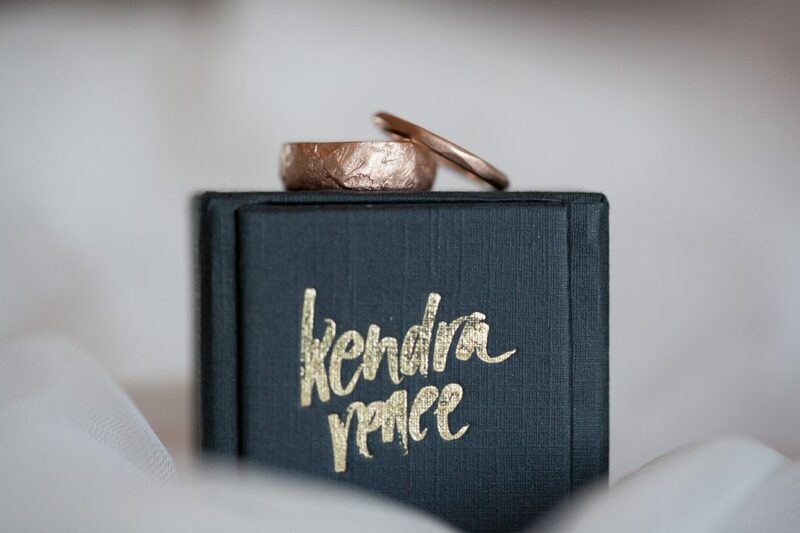 Family and Friends infused the couple’s wedding rings with love during the ring warming ceremony. I hope you love your new rings. Can you share your experience? 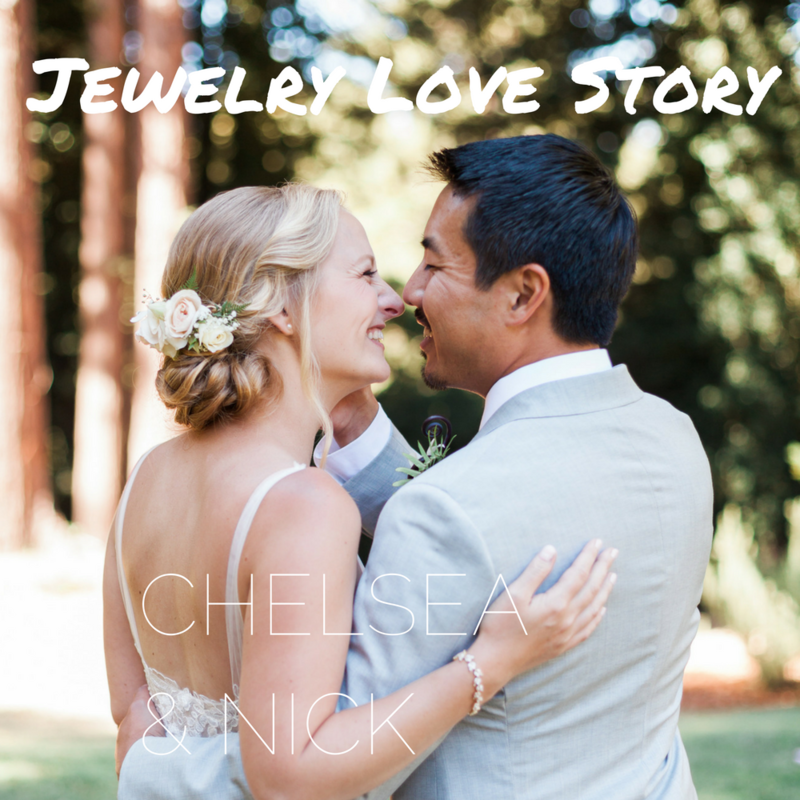 Nick loves his gravel-style wedding band because he feels it’s natural texture reflects his love of the outdoors. Chelsea loves her river rock style because it’s simple, unique, and full of movement – something that she can wear every day. Plus we both love rose gold! 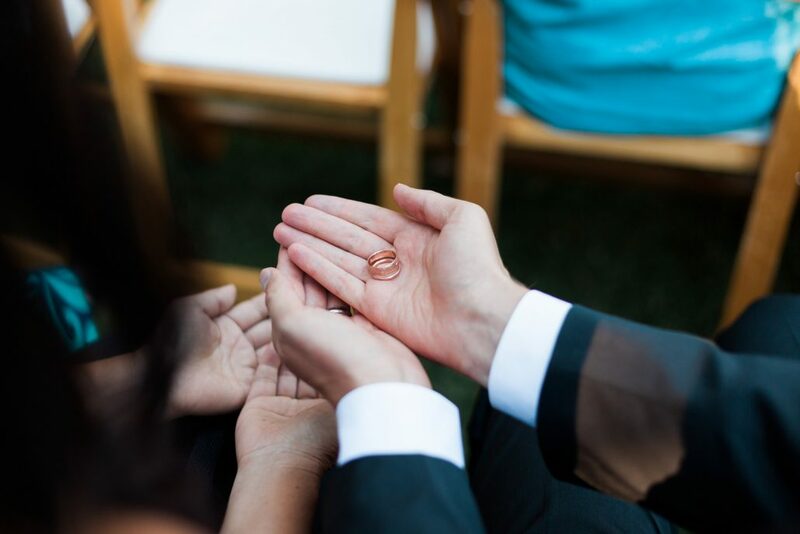 During our wedding, we included a ring warming ceremony in which our rings were passed around so that guests could infuse them with their love and positive energy before we exchanged them – our rings are more than a symbol of our love, but also the love and support of our family and friends.